If you compare the three pages below, you will notice that one manu has a blue field as the background colors while the others do not. How is this controlled? I wish for them all to have the blue backgrownd. The header color palette is managed on two levels. This system of overwriting Header default color palette comes in handy especially when you want to use the transparent header feature. In which case sometimes it is better to change the colors for better readability (ie: to use dark text over light images and vice versa). 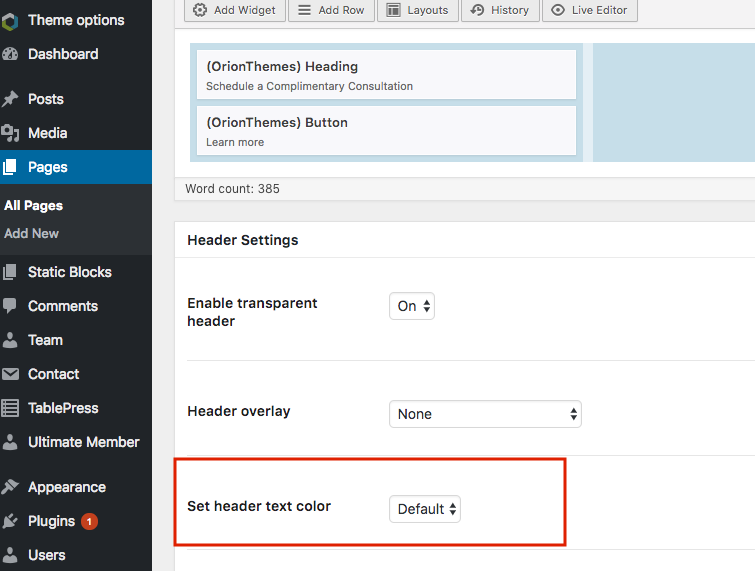 This will set defaults for all new pages to use this color palette. 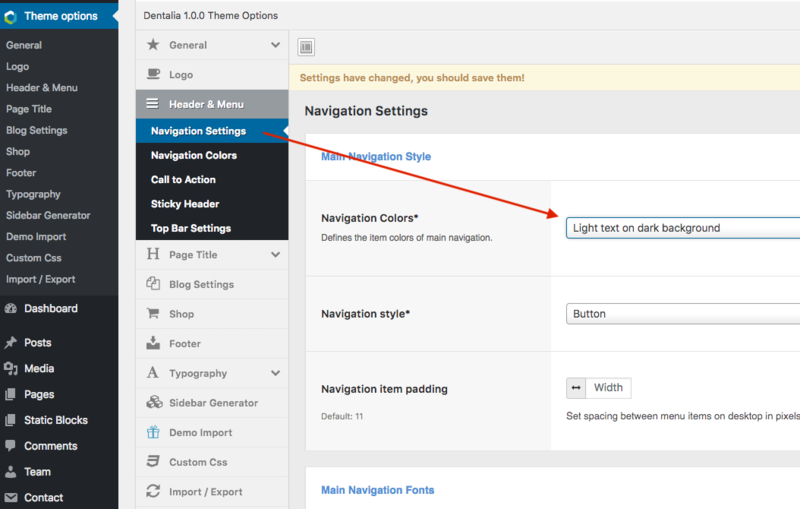 You can further customize the colors under "Navigation Colors" if needed.